Wi-Fi is perhaps one of the most important inventions since the internet itself, giving birth to a whole new era of wireless networking. Wi-Fi routers themselves have come a long way in just a few years, providing blisteringly fast speeds without compromising much on the range. Not only that, but they can also handle more devices than we could have ever imagined we would need before. The internet of things has brought about a new influx of ultra-low powered devices that can connect almost any smart peripheral to a central station through Wi-Fi, increasing the load on the router itself. Here, we take a look at some of the best Wireless routers in the market of 2018. 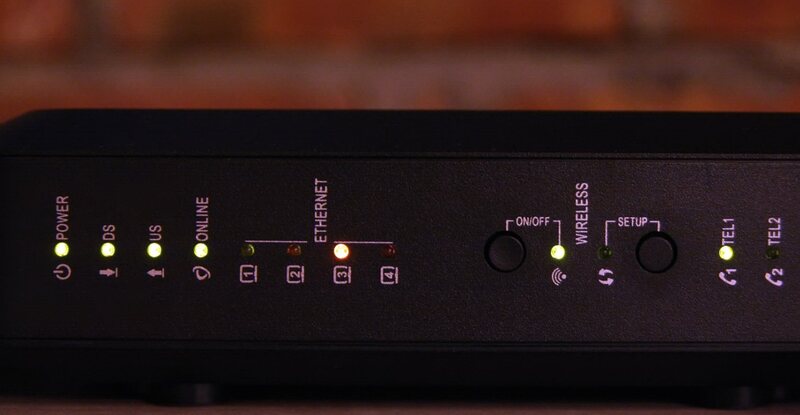 The incredibly cool-sounding Nighthawk router may be the answer to your networking needs. 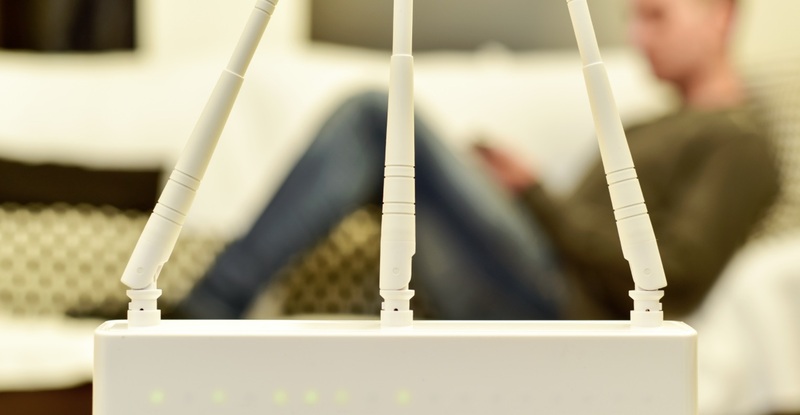 This device gives you the fastest combined WIFI speed for continuous streaming at 3.2Gbps. It is also excellent for optimizing performances of multiple devices using a single network, and the speed is free flowing fluid-like. The setup process for this device is fitting and incredibly straightforward; the primary menu system in the X6 lays out all necessary information in the list at the tip of your fingers. It’s a solid device which has excellent durability as well. A 1GHz dual processor with three offload processors (tri-band) enhances performances. It has a great WIFI signal focus and delivers strong connections for all your devices. A USB 3.0 port is an icing on the cake which gives you high-speed storage access and isn’t a remote controlled device always amazing? You gain remote control access as soon as you install the NETGEAR genie on your android phone. One of the main factors that users and critics alike rate highly are the range of the device. An Increase in signal strength was noted at 30 feet compared to 5 feet. On a darker note, there have been some complaints about inconsistent results through distances and random disconnections were a common occurrence for users. When put to the test, at different distances it provided minor speed than its predecessors namely AC2600 and AC1900. 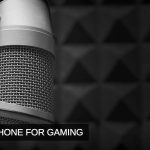 It’s was also regarded as a little too simplistic for the power users, and it’s also considered pricey for the average consumer. 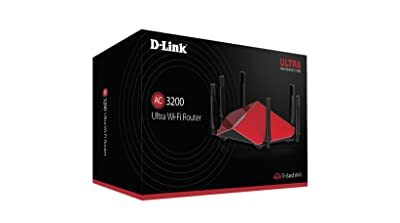 D-Link’s AC3200 Ultra comes with the Ultra tri-band WIFI router with six high beam-forming antennas which provide stability and sustainability alike for the user. It gives the ultimate WIFI experience with Tri-band speeds to support more and more devices to your high-end home network connection. These six high-performing antennas direct the signal strength towards your 4K/HD playing devices and your online gaming consoles to give you the best lag-free experience. Tired of doing the technical stuff to get the best signal strength out of your device for high-speed performances? Well, it seems as if you’re in great luck because the D-Link AC3200’s Advanced SmartConnect allocates the best possible band for maximal WIFI performances. To make the deal even sweeter, the Advanced AC Smart beam tracks your device to the best of its range to give you the best WIFI performance. Installation is easy, and the device can be managed remotely from your smartphone or desktop. The advanced security encryption feature makes sure nobody interferes in your home’s network. Besides all the technicality, the design and color are eye-catching, and the router looks fantastic atop the shelf. But with all the good that comes the bad does too, it’s been regarded as overkill for the audience. The mainstream users have termed it ‘expensive‘. The USB and Printer storage options are limited, and the web interface lacks power use options. TP-Link’s OnHub AC1900 with its unique lamp-like design might confuse you to think of it as a lamp or even glass. It’s priced pretty reasonably too. It gives you super internet speed up to 1900Mbps to help with smooth and easy gaming, downloading and streaming alike. 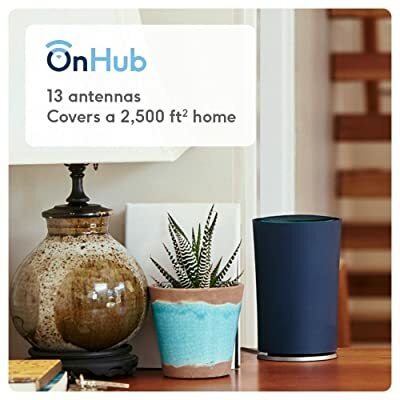 The OnHub AC1900 helps estimate the dead zones with over 13 powerful antennas at work, providing reliable and consistent signal coverage and speed for most homes up to 2500 square feet. The support system is as dynamic and massive as most consumers would want with support for up to 100 devices simultaneously. The setup is made easier and flexible by the companion Google On app for the user, which allows you to control and direct your device using your smartphone. Consistent security updates are another big plus, making it safe and bug-free to use. There is also a separate guest network that grants you the ability to get your friends and other devices online with you. It allows you to prioritize devices as per the need for its network consumption and regularly scans your environment to give you the best WIFI experience. It also removes all sorts of stoppages from interfering in the network to ensure the best speed for the user. It includes promising features for future home use. On the contrary, you can only connect one wired device, and most of the features aren’t available for direct use at the launch of the device. The Web-management factor is not present, as you can only manage your device through iOS or Android devices which might not be beneficial for a larger party at work or for handling high bits of information. 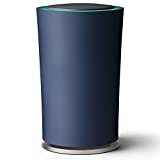 The OnHub also requires a Gmail account to function, which may set it apart from others on the list but mostly adds to the adverse repercussions of the device. To sum it up, the cool design doesn’t necessarily cancel the negative factors the device has, for something made by Google you’d probably expect better. Linksys’ WRT AC3200 comes with an impressive tri-stream 160 technology. One unique feature to notice is MU-MIMO technology providing blazing fast speeds to all your connected devices at the same time, with the same rate. The Open-WRT and DD-WRT provide you with the luxury of complete flexibility and tend to your customization needs with ease. 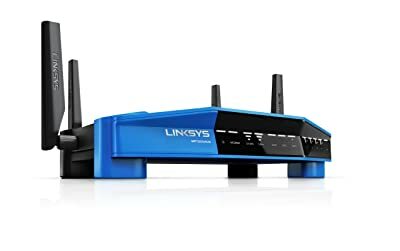 Its design is not that unique and looks like a typical and basic router design with the classic blue and black colors that are associated with the brand. 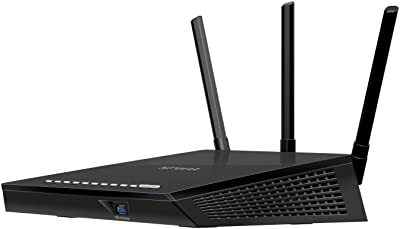 So, if you love the simplicity and your needs require you to get a great wireless router, you might want to root for this beast. The Customization King device lets you control a variety of aspects. Once you’ve started it, it is a step-by-step process that guides you how to access the entire home network remotely and which websites you might want to block or which devices you wouldn’t want to enter the network. The security system is massive as no one could break in without knowing the name of your network — which you can do by hiding your SSID. The cons with the device, however, are that there is no light indication on the front panel of the device. Moreover, the device is not economical at all for the average consumer and the range performance for that amount of penny just doesn’t seem to click. NETGEAR’s AC1750 Smart WIFI router is the next in line in this list of fast, eye-catching routers. Priced reasonably at just over a hundred bucks, it provides speeds of up to 450Mbs+1300Mbs. It functions using high-powered external antennas, making it ideal for folks using 12 or more devices in their own networking setup. Again, the NETGEAR genie app is available to tend to your customization needs and create remote control access to your network at the tips of your fingers. The Beamforming+ focuses the WIFI signals from your router to your device creating an easy path without much network hindrance, giving you the best possible internet experience. A 3.0 USB port and a 2.0 USB port is provided with the device, and the ReadyCloud USB storage allows you to enjoy your ‘Cloud to USB storage’ with ease. The Networking filter is provided which offers web-filtering for all of your connected devices. This may be the ideal device for consumers who wouldn’t want to break the bank and still want a smooth connection for multiple devices. The only main drawback of the device is that there is no way you can upgrade the antennas for better performance. Although they may be very high powered antennas, it might not be your first-choice router in the future. Another main drawback is that for its counterparts and rival devices, it may not offer that great range for more than 30 feet away. 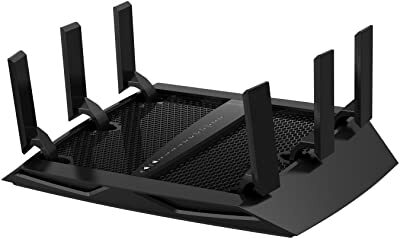 Nonetheless, if you’re looking for a new router and exceptional performance for a decent number of devices at your place, the NETGEAR AC1750 (R6400) may be the device you’re looking for! 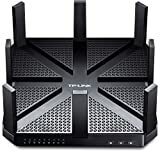 TP-Link’s AD7200 Wireless router with Tri-band technology is probably going to turn some necks, being the most pricey and expensive device in this list stands at over 300 bucks. It does have exciting specifications and durability for that big amount. What’s good on the outside may not be good from the inside, but the TP-Link AD7200 throws this stereotype out of the window with its unique luxurious design, containing eight high powered external antennas which provide you with fantastic in-room coverage for all your connected devices. It’s not every day that a product is termed as the “latest and the most powerful innovation in wireless technology.” Stream a 4K video in a matter of minutes and instantly share an insanely large amount of your pictures, files, and videos with the 60GHz band. The AD7200 Multiband provides you with up to speeds of 7200Mbps. It is simply the fastest WIFI for every device with MU-MIMO technology and operates on a mighty 1.4GHz dual-core CPU. Coming to the negative aspects of this router, there have been some complaints about it not reaching the maximum advertised speed limit. The design sure is amazing but it leaves a large footprint, and you’ll need 802.11ad compatible devices to make the most of the high-speed. It also lacks in the area of smart connect, where most other devices seemed to have done the trick. All in all, it is surely here to revolutionize wireless technology, but a few more insightful inputs may prove to be more promising to justify the hefty price tag. After the most expensive device on the list, we bring to you TP-Link’s Archer C7, the least priced wireless router on the list, costing just under a hundred dollars. With 1.75GB total bandwidth, it offers speeds up to 450Mbps to 1300Mbps. You can channel the multimedia files you share locally with connected devices or remotely via FTP server. The GNA (Guest Network Access) allows you to share WIFI access to guest devices with complete control and safety. Allot desired bandwidth to each and every device on your server thanks to the IP-based Bandwidth Control. It also comes with a set-up Assistant with multi-language support, enabling you to setup your process with complete ease and provides you a tension-free installation process. The Archer C7 may not be the fastest router on our list, but it is one of the best bangs for the buck deals, mainly thanks to its surprisingly good wireless range. When buying a Wi-Fi router, you need to take a number of things into account, depending on your needs. Different routers have different sets of strengths and weaknesses. 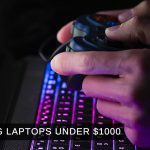 Here’s a list of things you ought to consider before selecting the best product for a price that best suits your budget. The durability of a wireless router is essential these days. Many companies are in the business of producing wireless routers — each wanting to make the device as tough and long-going as possible. 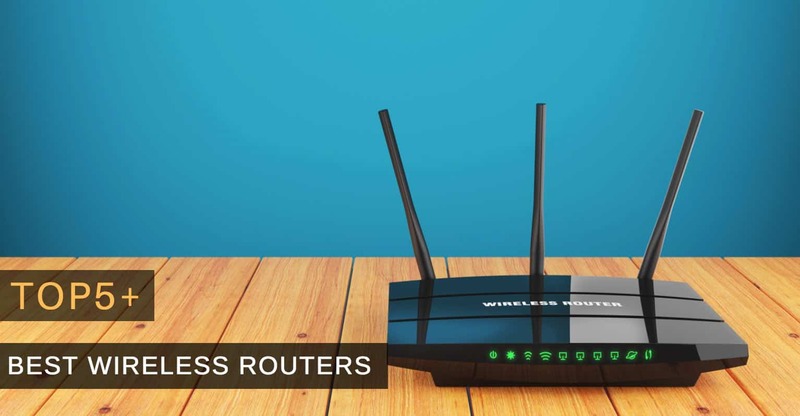 The use of wireless routers stretches from your laptops, personal computers to your smartphones to your gaming consoles. That’s a lot of pressure for one device to work upon. If you experience hindrance in your network connection it might not always be in your best interest to call your IT-guy and yell; the fault may lie with your old inconsistent router. In this age of technological advancement, there’s no limit to speed and creativity when it comes to these wireless routers but, as average consumers, we have limited needs, and the factor that might limit us is our budget. Wireless routers may range from $15 to $400, depending on the speed or how many different network connections the device can support. However, don’t settle for something that doesn’t perform as per your needs. Ever wondered why positioning of your router is so important? When you set up a new internet connection, try the device out in multiple locations. 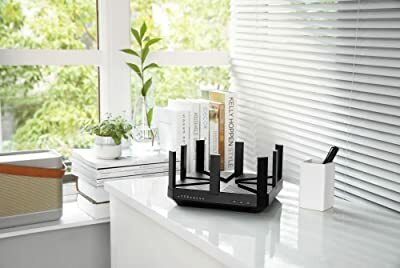 This is to ensure you get the best range and connectivity throughout the house; different routers have different ranges. 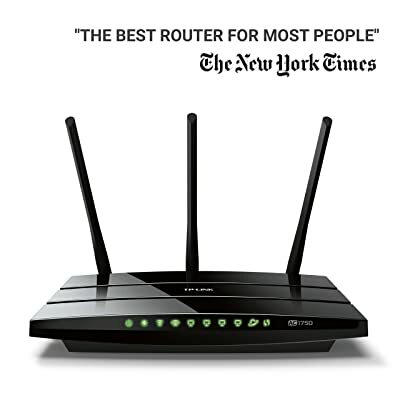 Usually, more expensive wireless routers have a more widespread range and connectivity. You can also keep routers in top shelves to get a better range since there is less obstruction. However, there is a limit and sometimes the device you’re using simply may not be good enough. Sharing is caring, isn’t it? Impressively, new-gen routers come in with USB ports. How is that helpful you may ask? Well plug an HDD and share your content easily through maximum speed with others. You might even use it to create a network media hub to share movies, games or music you own locally. However, this factor may be ignored if you’re more interested in isolated network usage which an average consumer prefers. Wi-Fi routers are as essential as the internet itself. If your Wi-Fi isn’t capable of handling the speed or load for your needs, there is no point of getting a fast internet connection. This is why you should carefully consider your priorities and the pros and cons for every router to decide which one suits you best. Be it a small home set-up for just a few smartphones and laptops, or be it a full-scale workstation for a small office of a dozen people, there are Wi-Fi routers for every need. While TP-Link’s Archer C7 can provide you a perfect budget deal, you would be better off with their AD7200— the most expensive and arguably the best router on our list.